At A Is 4 Adoption, we think you deserve to experience all the joy and excitement that birth mothers do when they are expecting. However, many future mothers feel awkward about throwing a baby shower when they are not having a baby, or when they aren’t sure who they are adopting yet. With our simple adoption process, we are able to match you with a birth mother before the baby is even born, which you may not see with other adoption agencies throughout California. Being matched this way allows you to play an important role in your baby’s life before he or she is even born, and that includes throwing an adoption shower. This is a theme that tugs on the hearts of every parent, especially adoptive parents. 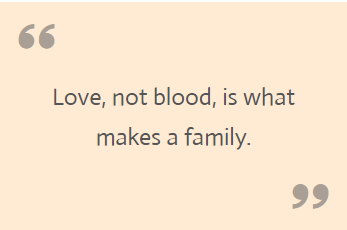 The idea that love, not blood, is what makes a family is a beautiful inspiration with which you can start your adoption celebration. Parties where you tell the guests to bring a themed gift can give you a chance to get the items you really need and want. Especially if this isn’t your first child, themed gifts are the perfect way to keep the excitement of a baby shower alive. Many times, adoptive parents will recommend you wait until you bring the baby home to have your shower, that way it can double as a “meet our new addition” open house, but the decision is yours to make! Take these ideas and make them your own for an adoption shower you won’t soon forget.